I always hoped to have a baby in the fall: I imagined decorating for a Halloween/birthday party combination, or taking newborn pictures among the red maple trees in November. Though blessed with a summer baby, I contemplated her name meaning for quite some time: it needed to hold history, cultural meaning, and strength within my tiny new person. When we decided on her name, I immediately felt as though she had a story to tell with it—this is something many new parents find to be a quite a struggle. “I’m so glad I live in a world where there are Octobers.” ― L.M. Montgomery, Anne of Green Gables. There’s something wonderful about the world in the fall, isn’t there? The air is crisp, sweet treats are plentiful, and the way the leaves look in much of the world make it seem as though you’re living inside of a painting. Perhaps this year’s harvest is bountiful, and you find yourself anticipating a new little branch on the family tree. If you’re glad to live in a world of Octobers, are due in the fall, or simply love this special time of year, consider one of the gorgeous names below for your little pumpkin spice sweetie. Cullen -This eerily beautiful name was made popular by a particular saga of vampire books: and we can’t help but love this magical sounding name. Forrest -An obvious fall choice, for sure, but an underrated and darling boy’s name that is sure to be a strong, steadfast choice for your little sapling. Harry -A gorgeous and magical name, Harry has been around for centuries. It conjures up an elixir of classic and mystical for your little man. Hawthorne -This name, meaning “live where the hawthorne hedges grow,” is an earthy and fun choice that might not be on many keychains, but will certainly make a statement for your little one’s bold and brave life. 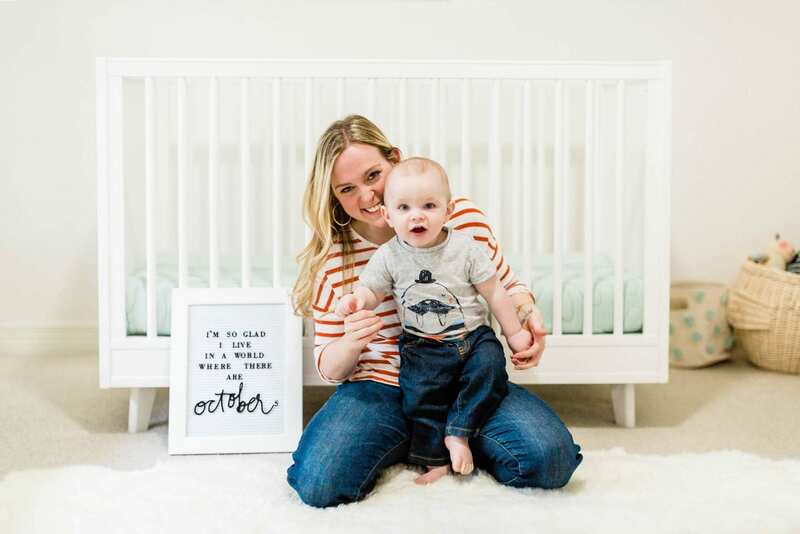 Hunter -A fall occasion in many circles, perhaps your little Hunter is more gatherer, but don’t let that stop you from choosing this mighty name for your baby boy. Jack -Pumpkin King or just king of your heart, Jack is a classic name that suits a little flannel wearer to the hilt. Leif -Fall for Leif: a fun, bold name choice meaning “heir” for your little autumn-born boy. Perhaps he’ll inherit your love for changing leaves and chilly weather? Milo -Though not an obvious choice when thinking of autumn, Milo is a tender and unique choice for a little boy. Redd -A color so prominent in the fall that it has inspired books, songs, poems, and more. Let this inspirational boys name color your world. Sage -A delicious herb popular in many cold-weather dishes, your scrumptious little boy is sure to be a people-pleaser with a warm spirit. Autumn -Blatantly obvious but a lovely name all the same, Autumn is an underrated name and perfect for your little girl who will be as adored as this season. Lorelai -Thinking of Stars Hollow and dreaming of leaf-looking there? Us, too! This fun and sassy name will have you contemplating adventure with your daughter at every turn. Luciana -The name Luciana is derivative of the Latin word for “light,” and how better to honor your little autumn sunshine than naming her Luciana? Maple -Watercolor skies and beautifully-hued leaves are what one envisions when you say the word “fall,” and the mighty name Maple is as strong and stunning as the tree for which she’s named. Maren/Mauren -This sweet baby girl’s name is warm and friendly like a hug in a sweater, and subtly pays homage to the season of fall. Opal -The elegant birthstone of October is a wonderful name choice for your little jewel of a daughter! Salem -An eerie name with class and style, Salem has long been a beautiful town with many stories to tell. Zarina -An exquisite name, Zarina means “golden” in Arabic. What an ideal name for a little girl with a heart of gold, and born in the season where everyone feels golden as well? Whether you’re a fan of the fall or you’re expecting your bundle of joy to be your sweet treat this year, these fall-inspired baby names are unique, fun, and will have you feeling those autumnal warm fuzzies all year long.